QIK Tabs are a great aid in ensuring that an accurate chlorine balance is achieved in your pool or hot tub. Quick to dissolve, the QIK Tabs are ideally suited to a chemical floater, as the chlorine flow can be adjusted. 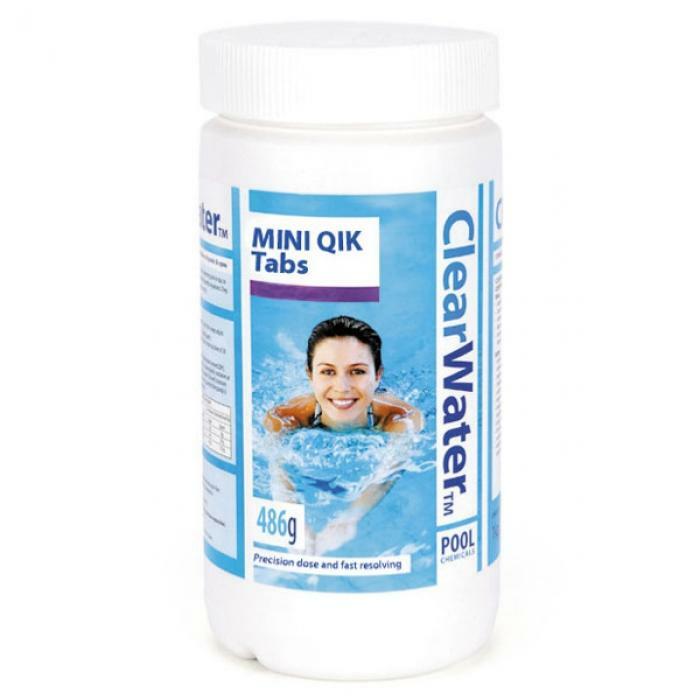 QIK Tabs also have a minimal effect on pH levels compared other forms of chlorine.